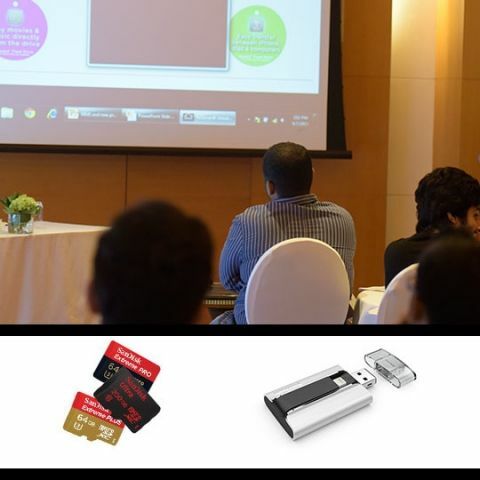 Sandisk, today launched a bunch of mobile centric memory devices including the iXpand expandable storage solution for iOS devices, an upgraded microSD cards with peak storage capacity of 200GB, an upgraded OTG flash drive and Sandisk’s first flash drive to have USB 3.0 Type-C connector. 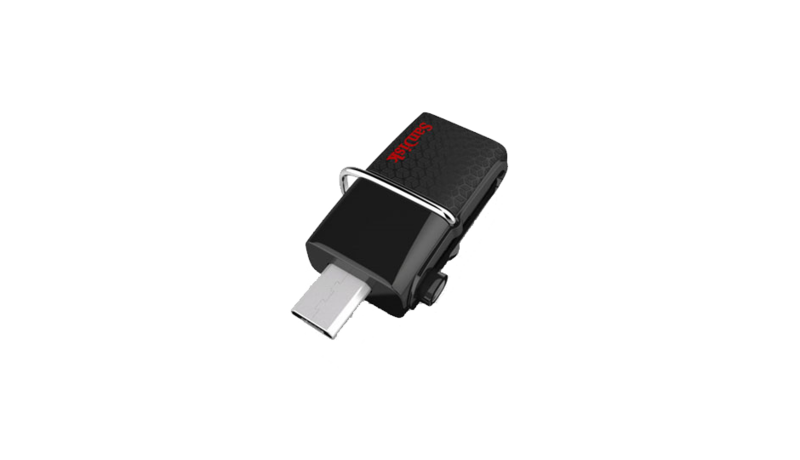 Having released OTG drives last year for Android, Symbian and Blackberry devices much to the relief of consumers with limited memory mobile devices, SanDisk today launched the iXpand for iPhones and iPads (iPhone 6, iPhone 6 Plus, iPhone 5s, iPhone 5c, iPhone 5, iPad Air 2, iPad Air, iPad mini 3, iPad mini 2, iPad mini) running iOS 7 and 8. Like the Dual Drive, this too has a USB Type-A connector at one end and a flexible lightning connector at the other end. The drive is available in capacities of 16GB 32GB 64GB and 128GB which are priced at Rs 4,490, Rs 5,990, Rs 7,990 and Rs 11,490 respectively. The device also includes a rechargeable battery which helps provide enough driving current to ensure high data transfer rates. This rechargeable battery does not function as a power bank and nor does SanDisk advertise it as such. An upgrade to last year’s launch, this version now has support for USB 3.0 though the maximum capacity available hasn’t increased beyond 64GB. Key differences when compared to last year’s model include a longer microUSB plug, improved slider mechanism and a metal clip. With USB 3.0 support, data transfer speeds have reportedly increased to 130MB/s. The drives are available for sale on Flipkart for Rs.1099, Rs.1749 and Rs.3049 for the drives of 16GB, 32GB and 64GB capacities. There are very few devices that include the new Type-C USB connector. The latest Macbook, Chromebook and MSI’s range of Type-C USB 3.1 enabled motherboards are some of the few devices on the market today and with this drive, SanDisk has joined the first wave of adopters for the new standard. This drive will be available for sale in Q2 and pricing details will only be released at launch. The iXpand requires the SanDisk iXpand Sync app (https://itunes.apple.com/in/app/sandisk-ixpand-sync/id923254823?mt=8) to be installed on the iOS device to access data on the device and features like encryption and an inbuilt media player are all controlled within the app. 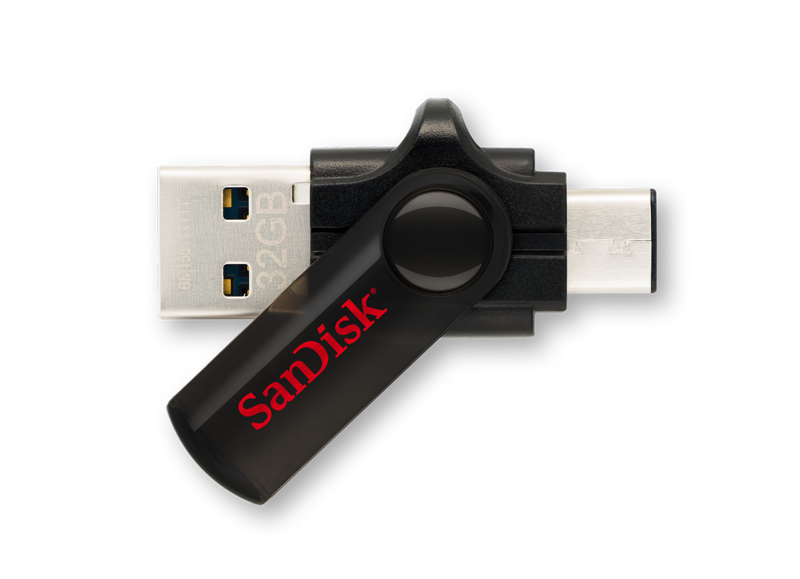 Similarly, the OTG drives require the SanDisk Memory Zone app (https://play.google.com/store/apps/details?id=com.sandisk.mz&hl=en) to be installed on the Android device. SanDisk has made a huge leap in memory storage capacity on the microSD form-factor in one year. 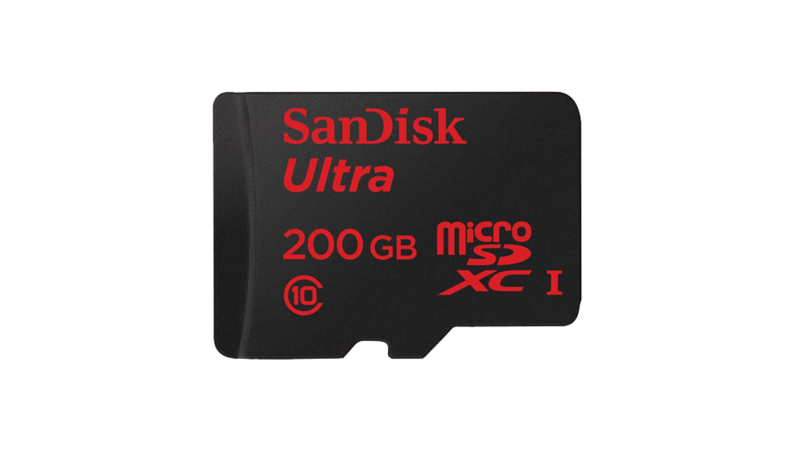 Till last year, the maximum capacity that one could get a microSD for was 128GB. And now, that has increased to 200GB. Unfortunately, you won’t be able to get your hands on this drive since it’s only going on sale in Q2 2015 and we don’t have the launch price for it yet. The microSD card will be covered by SanDisk’s 10-year warranty program.